If you have any questions regarding sales or service for your machine, please do not hesitate to contact us! We are happy to help! What methods of payments does Ruthie’s Notions accept? We accept Master Card, Visa, American Express, Cash, Checks, and we offer financing. 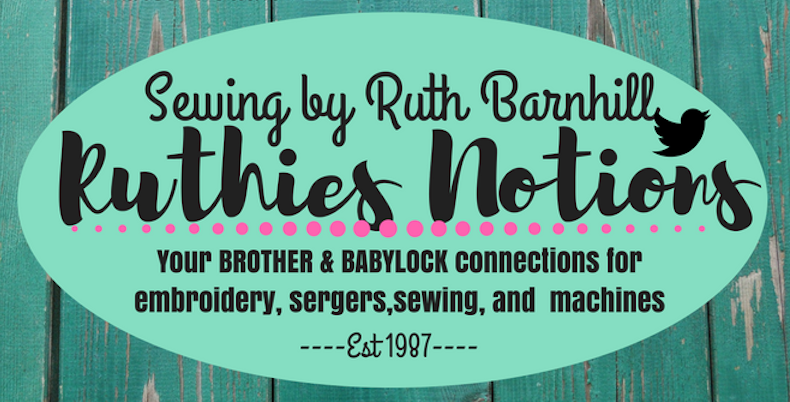 Is it best to know how to sew before coming to a class at Ruthie’s Notions? It is not necessary to know how to sew. We offer many classes for beginners. 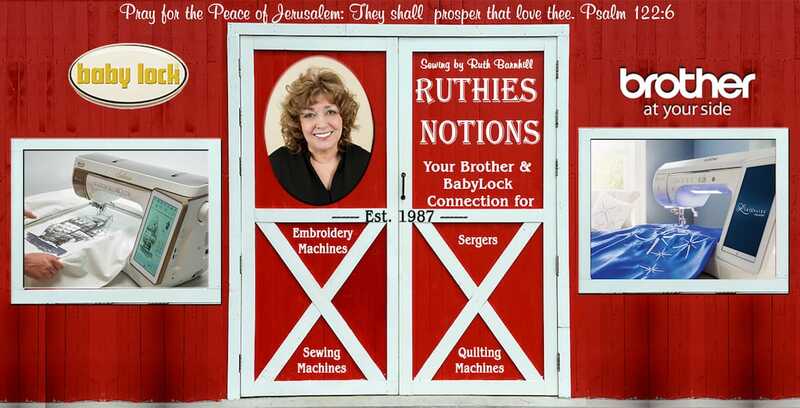 The teachers and staff at Ruthie’s Notions can help you start you on your journey of enjoying sewing, quilting, embroidery and more. We are located at 1365 John Riley Barnhill Rd. in Baker FL. Our hours are Monday-Saturday 10:00 am – 5:00 pm. Without first looking at your machine it is hard to tell. Bring your machine in, and we will diagnose and offer an estimate for the repair. How long will it take to repair my machine? It depends on if we will have to order parts for it. We will do our best to get your machine repaired and back to you as quickly as possible. Do you take trade-in machines? Of course, we do! We love trade-ins. Come in to Ruthie’s Notions today to see what we can offer you on your old machine to put towards a new one. I am trying to work with Velvet. How can I prevent the material from sliding when sewing? When sewing velvet or velveteen use a walking foot or digital dual feed foot, to help prevent the material from sliding. For your Baby Lock Solaris, you will want to use a Class 15 bobbin. My thread keeps breaking, what should I do? Be sure to replace your needle to start with. Often, simply doing this will fix thread breaking issues. Needles become dull with use. You may also want to check to make sure your machine settings are correct for the stitch and fabric you are using. Rethread your bobbin, and also be sure to keep your machine free of lint built up. Should I oil my Brother Machine? Yes! You should oil your Brother machine. It is recommended to oil every 8 hours of use. To prevent sewing problems and to help perform a perfect stitch, a rule of thumb is every new project. Needles can cause many problems on a machine. If you feel a rough spot on your needle, throw it out and replace.